it's that time of the year (actually a little behind) to order spring shades. 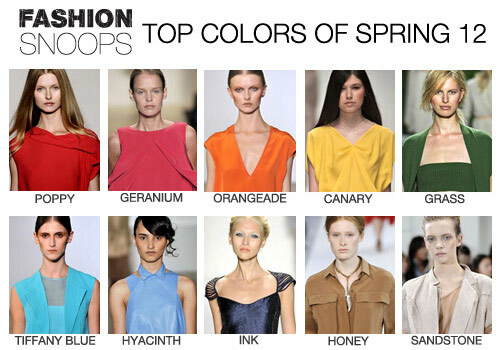 above are the "it" colors according to the fashion trend report. any favorites or special requests? new designs . . . i'm thinking a cowl neck, reversible tube dress, skort, and a cap sleeve tunic dress. voila, spring launches in march. pass along your requests now as samples are starting. also, don't forget to send us photos of you donning TranquiliT for our facebook page AND to enter to win free pieces. I love the Grass, Orangeade and Geranium....of course they are all beautiful!! I like orangeade and ink best, I think. A cap sleeve tunic would rule. And skorts! I have black skorts from who knows how many TranquiliT seasons ago, and I still wear them every other day in the summer. Maybe just a basic fitted short-sleeved T would be nice too. I favor "warm" colors, so I'm voting for Grass (the color in of the bathing suit in the far right of the Snoops photos) and Honey. I also like Canary and Orangeade. 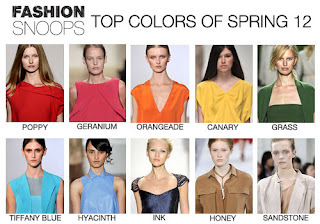 I wish you could do some of your previous pieces in the Spring 2011 colors.